When you purchase a pet door through Hale, you will receive 10% off the purchase price simply by letting them know that you adopted a dog through us! If ordering through Hale’s website, just write “GreenDog Foundation” in the appropriate box on the order form or if you are calling in an order, simply tell them that their matching gift donation should be sent to us — it’s a win-win! 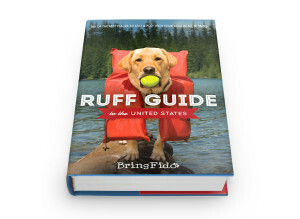 The Ruff Guide gives you 365 of the best places to stay & play with your dog in all 50 states! Does your dog need a vacation? Pick up a copy of Ruff Guide to the United States for the scoop on where to stay & play with your pooch! When you enter code “GREENDOG” at checkout, you’ll get free shipping, and GreenDog will receive a $10 donation from the publishers for each book sold! Shop at the Ebay.com Greendog Store! Use the button below to shop on Ebay and Greendog receives 100% of every sale through this link! Shop at Amazon.com, Greendog Gets to Save More Dogs! 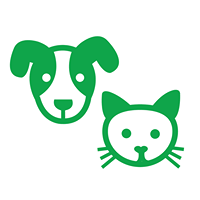 Use the button below to buy your dog supplies on Amazon, and Greendog receives a % of every sale through this link! Ralphs is committed to helping our communities grow and prosper. Sign into your Ralph’s or Kroger account and input our new Organization Number. located in Murrieta, California. This company offers private lessons, group obedience classes and specializes in training therapy and service dogs. Please call today to schedule an appointment or sign up for a group class. Give your advertising a set of brass knuckles. We can create custom branding, paid digital, SEO and pretty much anything else you need. We can work with your budget and create a custom marketing team that can kick your competitors butts.